If you’ve spent any amount of time on Instagram, you’re probably feeling overwhelmed when it comes to considering the size of your home office. But the truth is that you don’t need a massive master bedroom or even a spare bedroom to enjoy working from your home office. What you don’t often see are the small spaces of productivity that fit perfectly into your home and your life. All you really need is space against a wall somewhere away from the main traffic of your home to create a cosy space where you can accomplish anything. Not convinced? 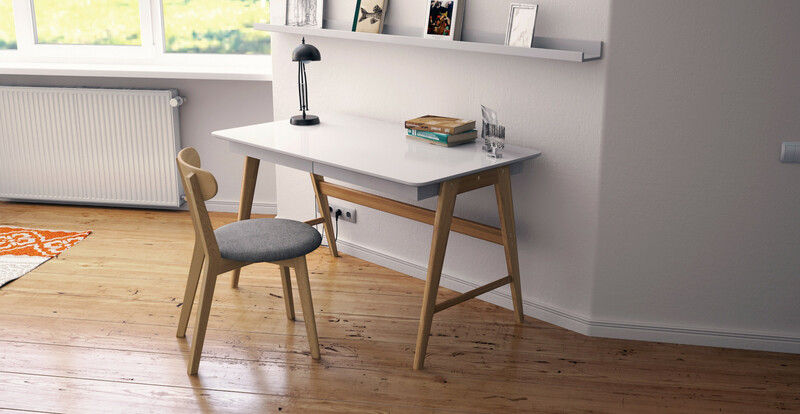 Use one of these ideas to make your small home office space work for you. If you’ve found the perfect space for your office, don’t be put off by huge, complicated office furniture you find in the shops. Visit a cabinetry store to talk about ways to make your small space work for you using custom furniture. 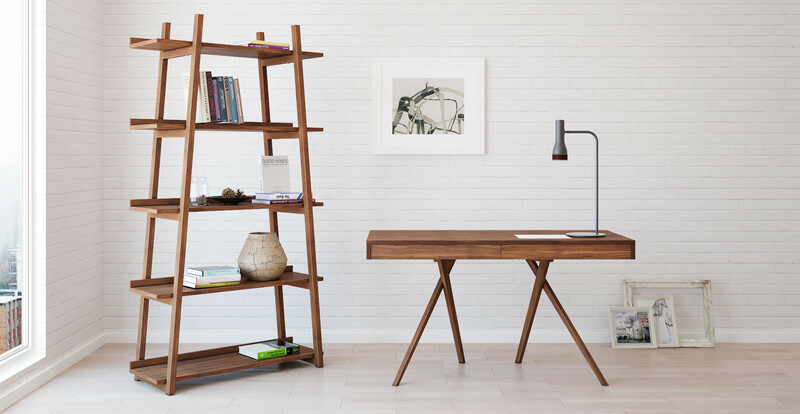 With a built-in desk or shelving, you can transform even a tiny space into a simple space where you can tackle any task. Whether you’ve got an office space like a C-level executive or you’re working in your hallway, the key to creating a good office is to keep it simple. Admittedly, simplicity is even more important when you’re working in small spaces. It’s tempting to base your small office design on your Pinterest board. While you can do that successfully, keep a few things in mind before you kit out your space with the whimsical charm of a hidden forest garden office theme. 1. Be realistic about your furniture. You don’t just need furniture to fit the size of your space – you also need it to be comfortable. 2. Choose your paint carefully. Bright colours add interest to the space, but you’re there to get things done not admire your design sense all day. Be careful with your art as well. Wild prints can help the space transition back into a living space, but they give off a chaotic energy that may not help you when you’re working. Pinterest is nothing if not a long list of ways to disguise what your everyday life looks like. Some storage solutions on Pinterest are the work of geniuses. Others are the work of mad men. Prioritise functionality over beauty with your storage solutions and you’ll find it’s not only easier to store your stuff but retrieve it again when you need it. The size of your office isn’t what will hold you back – it’s the comfort factor that will drive you from your home and into your nearest café. And this matters much more in your small office where you don’t necessarily have room to escape or invest in big comfortable furniture. By focusing on ergonomic features of your small office, you’ll feel less cramped and ultimately less claustrophobic even if you’re literally working in a closet. What are the rules of ergonomics? We’re glad you asked. A good set up will allow you to sit as far back as possible in your chair with your feet flat on the floor and your knees either at or below your hips. Your armrests should also be set up so that your shoulders can relax. If you can adjust the back of your chair to a 100-degree angle, you’ll better be able to protect your back. Your mouse and keyboard should be placed closed together directly in front of your body to avoid overreaching. Your monitor should be set at a height where your eye level is 2-3 inches from the top of the monitor. It should also be an arm’s length away from you. Ergonomic set-ups will help you get through the workday. But you’ll need to complement it with good work habits. Take regular breaks and avoid sitting at your computer during lunch. Try to keep your posture in check throughout the day for best results. Think about your top three locations for your home office. How many of them are up against a wall in a dark corner of a room? All three of them? That’s not a surprise. People who move from an office to a home office find themselves battling against old reflexes to recreate their cubicle. Instead, choose a space or move your office to a wall or room with plenty of natural light. Not only does natural light help make space feel bigger, but it’s also easier on your eyes. Plus, natural sunlight makes us feel happier, and isn’t that why we work at home in the first place? You can organise your small space within an inch of its life, but if you can’t stop your flatmates or family members from interrupting you every few minutes, then it won’t do much good. Set clear boundaries with the people who share your space. Give them specific hours when they can come speak to you or ask you questions about the house and don’t allow them to distract you outside of those hours. Working with a small office space can be done if you’re willing to adjust your expectations or even invest in some custom solutions. With these solutions, you can make even the tiniest office space a haven of productivity.